There are many activities that make Lancaster County alluring to visitors. What might be most appealing is the extensive opportunities you can find here in our picturesque county. From tours to shopping, to caves, wolves and trains, Lancaster seems to offer something for everyone. So if you're visiting Lancaster soon, here are just a few events to check out. Complete your trip by checking into one of the bed and breakfasts at www.authenticbandb.com. They are the icing on your cake to the perfect trip. Beginning on April 2, Strasburg Railroad offers Wine and Cheese Tours. Guests travel through picturesque Lancaster while partaking in some tasty wines and cheese and other snacks. The $36 ticket includes wine, cheese, crackers, beer, mixed drinks, or non-alcoholic drinks in its first-class parlor car or first-class lounge. Visit their website for more information. 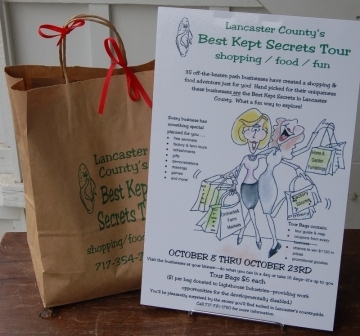 Starting April 7 and taking place through April 23 is Lancaster County's Best Kept Secrets Tour. This unique tour takes guests to 36 "off-the-beaten-path" tour stops here in Lancaster County. Created to be similar to a home or garden tour, guests travel from place to place at their own pace. Tickets are valid for the entire time so visitors can take one day or 16 to complete the tour. Tickets are $9 and include a tour booklet, coupons, demonstrations, refreshment, chances to win shopping sprees and more. For detailed information and to purchase tickets, visit the website. 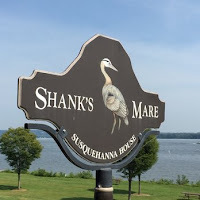 On April 9, Shank's Mare will host a Wind Cave Hike and Exploration. The guided tour takes hikers to the Lower Susquehanna to a tectonic cavern formed by shifting rocks which winds through the formation. This cave is one of the largest in the United States, where temperatures are nearly freezing year round. 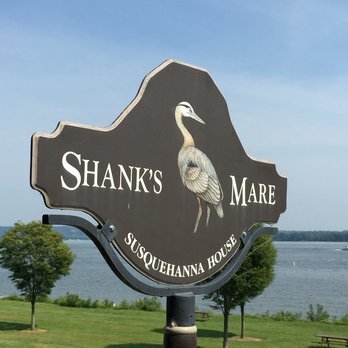 Lunch follows the moderate hike at Shank's Mare, which is BYOB. Tickets are $45 per person and include a shuttle, guide and lunch. Shank's Mare hosts a Wind Cave Hike on April 9. Nestled in pristine Lancaster County across 80 acres is The Wolf Sanctuary of PA. Run by the Darlington Family who has offered refuge to wolves for the past 30 years, the sanctuary serves as an environment to rescued wolves. Over 40 Speedwell wolves are cared for at the sanctuary and are ambassadors for the species in helping to educate the public. 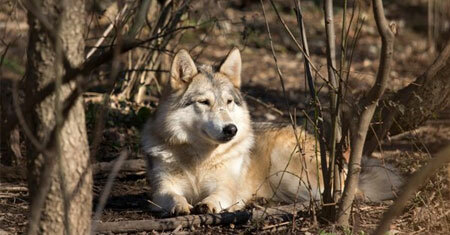 On May 14, the Sanctuary will host Music and Art with the Wolves. Guests can enjoy live music, local artists, face painting, games for kids, concessions, and more. Tickets are $10 and all proceeds benefit the Sanctuary which relies completely on private donations. The Wolf Sanctuary hosts a Music and Art event on May 14. Doesn't get much better than wolves and shopping, wine on trains and hikes. There is something for everyone and these are just a few of the many events taking place in Lancaster. For more events coming up in Lancaster, visit www.discoverlancaster.com.